I took the photos for a story about a little village next to the mountain area named Schwäbische Alb, which has located three whisky disterlleries. It's not a Scottish, Irish or American recipe in their use, they call it Swabian Whisky! 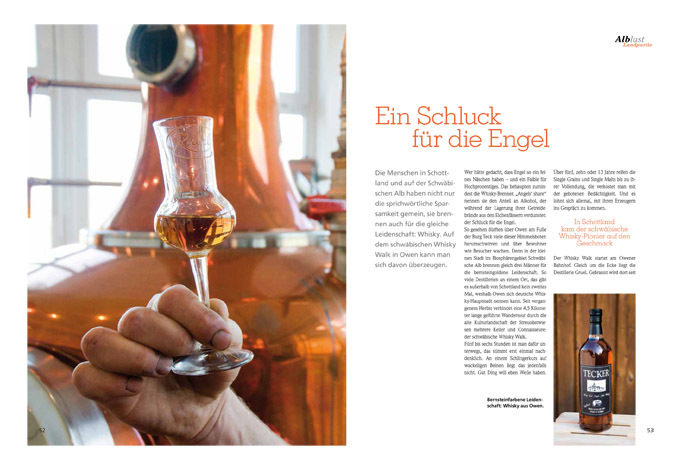 The whole is published in the new german magazine AlbLust, January 2013.